Whether the patent in question is really good? Whether the patent owner would be willing to sell the patent? Also, the patent acquisition cost of these patents uses to be somewhat less than the patents acquired from other means. 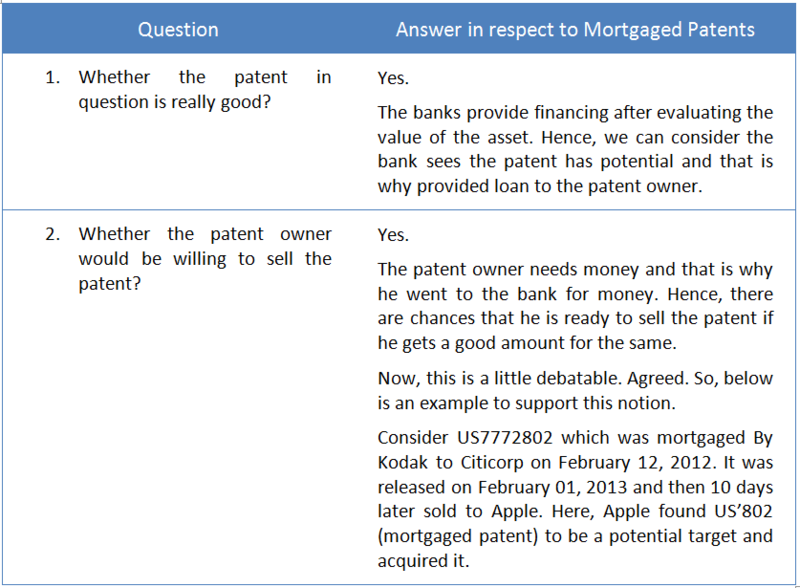 Hence, not adding mortgaged patents under your patent acquisition due diligence checklist could be a mistake. Relevant Strategy to Explore: How Filing Continuation Can Increase Monetization Potential of Your Patents? 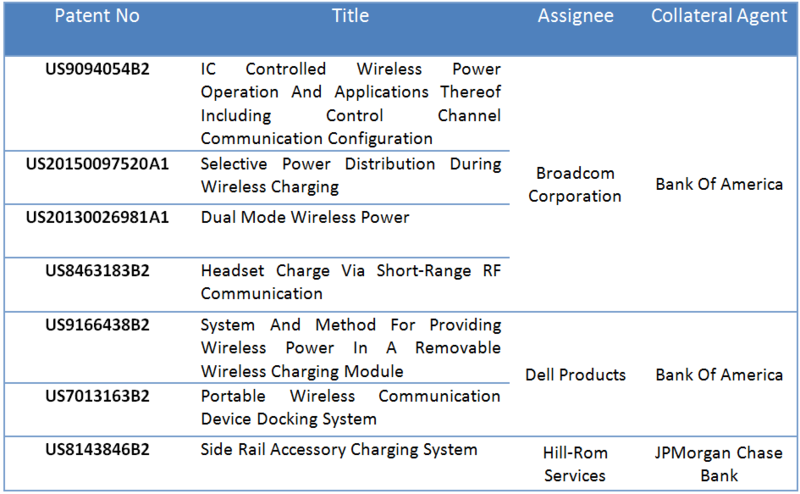 So Which Patents in Wireless Charging Have High Acquisition Potential? Wireless charging is a new domain which in the future (already?) is going to have a great market potential. At present, many companies are looking for a strategic patent acquisition to strengthen their relative position in the wireless charging industry and to avoid any litigation charges against them. With that in mind, we checked the patents/patent applications of the wireless charging domain that at present are on collateral with banks. Below is the list of seven such patents those have a high acquisition probability due to aforementioned reasons.